Christ-based change to those in need. 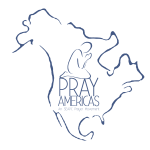 To establish and connect a global community of prayer that brings the hope and love of Jesus Christ into the world through parenting, healthcare, education, and micro-economic development. SEAPC was founded by God and is about God. All things that we do are done under the authority of heaven. Through prayer and obedience to the authority of Christ, blessing or prosperity comes from the Word of the Lord, the mouth of God. Prosperity comes in the form of the fruit grown in the field of the Lord. In this field we work in four platforms: healthcare, parenting, education, and micro-economic development. These platforms are held in place by the immovable cornerstones: evangelism, church planting, discipleship, and leadership development. May we always remember that everything which we are called to do must be centered in humility and the incredible gift of salvation given to us through the crucified life of Christ. For without the power of Christ given to our humble hearts, nothing would be possible. Today, however, we can live in victory knowing that the war has been won! We can do all things through Christ who strengthens us.